There will come a time when you, as a homeowner, will need the services of an electrician for your Balmain home. Choose one you can trust to be on time, every time, and get the job done right the first time. Choose Paul’s Electrical, the local electrical services provider that area residents trust for exceptional workmanship and outstanding service. The company has nearly 20 years of experience in handling all sorts of residential electrical issues. In fact, Paul’s Electrical has come to be known as the local residential electrical specialist. In searching for an electrician in Balmain, you want one who is knowledgeable and experienced. The technicians at Paul’s Electrical are all highly trained and have experience with the most common and uncommon residential electrical problems. They are able to easily diagnose problems and solve them rather quickly. 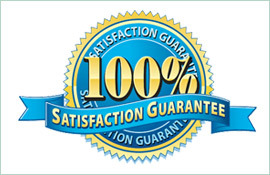 The company takes a great deal of pride in resolving electrical issues quickly with an eye on quality. Homeowners can be assured that Paul’s Electrical will fix the problem the first time. Paul’s Electrical is so confident in the quality of its workmanship that it offers all customers a lifetime workmanship warranty. The company’s work is guaranteed, so customers can rest assured that their home’s electrical problems will be corrected and their house will be safe. 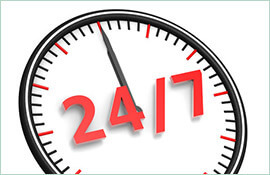 Customers continue to choose Paul’s Electrical because of the lifetime warranty and also because they are available 24 hours a day, seven days a week. When you have an emergency situation, Paul’s Electrical is only a phone call away. For example, if you have a power outage, with one call a technician will respond quickly, have your problem diagnosed, and will correct it as fast as possible. 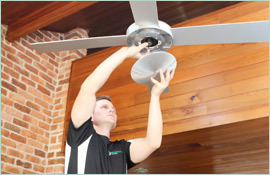 If you are in need of electrical service, call Paul’s Electrical at 0409 337 439 or visit the company website, paulselectrical.com.au, to learn more. Are you experiencing electrical issues in your home? Do you have flickering lights or power outlets that don’t work? Not to worry, Paul’s Electrical is here to help. We are a trusted electrician in Balmain East, and we have what it takes to solve your electrical problems. When you call us out for a routine job, we start with a diagnosis of your home’s wiring and electrical system. We use modern technology to investigate potential electrical issues in your residence, and once we have identified the areas that need addressing we draw up a plan of action for your approval. We work with you every step of the way to keep you informed about how the job is progressing, and we are happy to address any questions or concerns you have about our work. 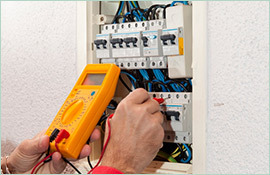 In addition to fault finding, we can also help you address power surge problems in your home. As a qualified electrician in Balmain East, we understand the various electrical issues your home can face. When you hire us, you can be confident that we will get to work right away and we won’t stop until the job is complete. We place a high value on each of our clients. We can check your power lines, fuse box, and transformers to make sure they are operating at full capacity and have not sustained damage. If we find an issue with these elements, we will conduct repair work immediately. For a trustworthy electrician in Balmain, do not hesitate to contact Paul’s Electrical. We are standing by to help you with all your electrical needs.